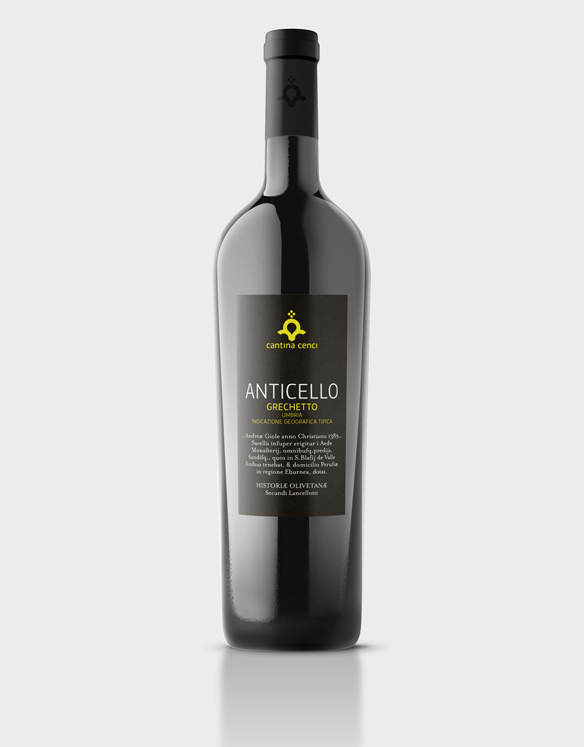 “Anticello” is the name of the place where the farm and its vineyards are located . The vineyards of Grechetto are scattered in these terrains and symbolize the wine cellar at its best. GROUND: Clayey, silty, calcareous with remarkable presence of travertine skeleton. VINEYARD: About half a hectare of 3.20×1.20 m planting (planted in 1999). Exposure: north-south. About half a hectare of 3×1 m planting (planted 2003) Exposure: north-east, south-west . About half a hectare of 2.90×0.90 m planting (planted 2013). Exposure: east-west. TRIMMING: Spurred cordon (4 gems). YELD: Grape 65q/ha. Wine 65%. WINEMAKING: Destemming and crushing. Soft pressing, about an hour of contact with skins. Fermentation, about 25 days, 14 ° C 80% in stainless steel tanks and 20% in oak barrel, frequent stirring. 7 months in stainless steel tanks, frequent bâtonnage.